The collar you will want to wear. It seems the battle of the 'round the neck' Bluetooth headphones continues, because as well as trying out fine pairs from Jabra and Sol Republic, we've also been testing a rather tasty set from Motorola. 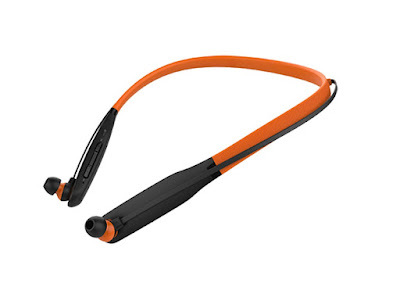 We check out the Motorola VerveRider+ Headphones. 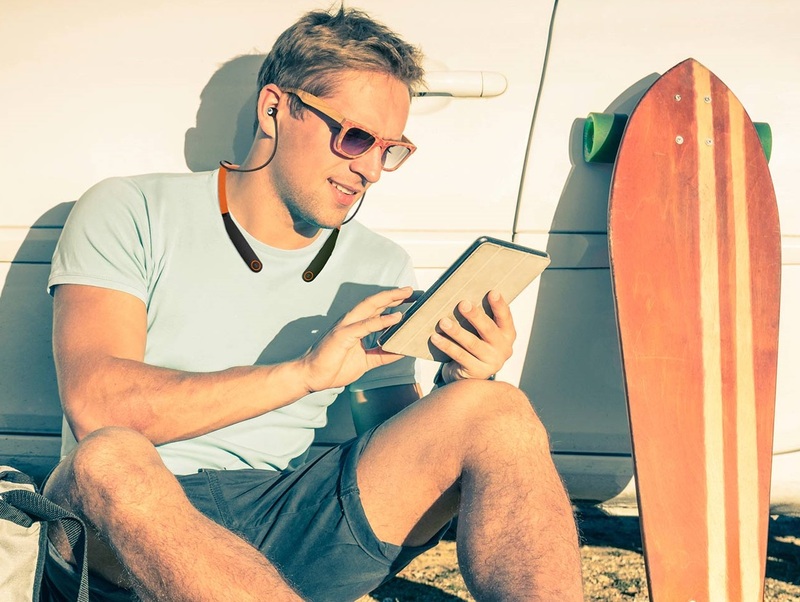 You know the deal by now: these are Bluetooth headphones which feature small earbuds connected to a flexible band that sits around your neck, on your shoulders. The means there is no weight of a device tugging down on your ears, and nothing heavy sitting on top of your head. We've been completely won over by the design, and now, it seems, Motorola might have pipped the competition at the post. 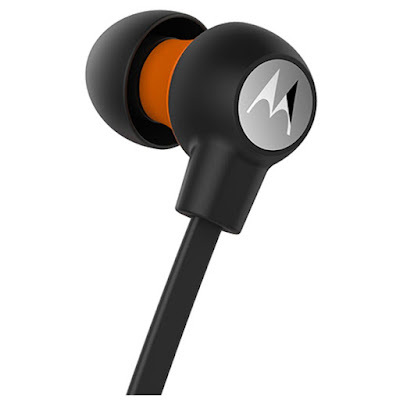 The Motorola VerveRider+ Headphones are exceptionally light and comfortable. Of the three sets we have now tested, they are by for the more flexible and also seem to be the most secure. The band, or collar, wraps that little bit more around your neck, to the point where the ends of the band are almost touching. Also, the earbud wires sprout from the rear of the band, right below your ears, instead of emerging from the tips of the band. This means the wires are shorter and there is less spare wire flapping about your neck. 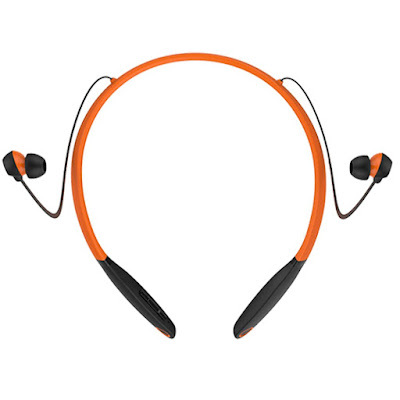 As you might expect from a Bluetooth device of the spec and price, the Motorola VerveRider+ Headphones uses the aptX connection profile, which almost completely kills any form of lag. The range from your device is also a fairly standard ten metres, but considering these are designed for daily wear, you're never really going to get that far away from your phone. On that note, they are both water and sweat proof, so keeping them on at the gym is fine. In terms of controls they are also remarkably simple to master. There is a dedicated power button for a start, so no pressing and holding the same button and accidentally playing a track. 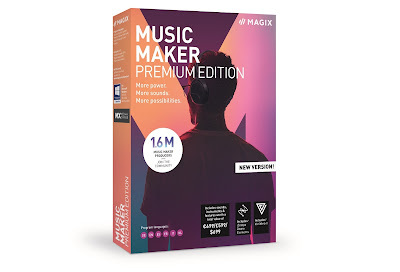 There is also an easy to grab volume rocker (which is also used to skip tracks) and a nice and chunky play/pause button at the end of the right-side collar tip. On t'other side you'll find the talk button, which, when pressed, allows you to use Google Now or Siri on your phone, to make calls, send texts, and do basic web searches. The front tip buttons make all this very easy to do without looking – something we had found slightly tricky on the other models reviewed. In terms of playback, they were phenomenal and definitely the best of the three. You get three sizes of earbuds to help you achieve a proper seal, but the depth of sound was impressive and seemed to go above and beyond what the pint-sized earbuds suggested they could manage. Also, if you press both sides of the volume rocker down you get a choice of three audio profiles, to let you choose which sounds the best. A nice touch, especially if you're a bit of an audiophile. As these are a Motorola product, you can take advantage of the Hubble app (which we have used before) to help track you headphones if you lose 'em. Another nice touch to have app support like that, although due to the fact that this is essentially a wearable, we're not sure how you're going to misplace them. Exceptional sound and a comfortable, intuitive design, the Motorola VerveRider+ Headphones are incredible and would sit at the top of our Best 'round-the-neck' Headphones League Table. If we had one.